Manufaktura today is the result of Poland’s largest renovation project since the reconstruction of Warsaw’s Old Town in the 1950s (something you can read about in Warsaw In Your Pocket). The history of the site is one of fortunes made and lost, of war, nationalisation and destitution. 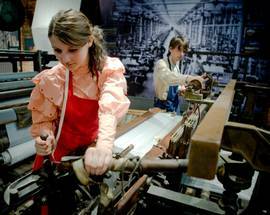 What you see before you was once a series of factories – all producing various textiles – that were constructed in the latter part of the 19th century. Designed by Hilary Majewski, a graduate of St. Petersburg University, the mills were built in a red-brick industrial style, incorporating the occasional Art Nouveau flourish. They were the property of Izrael Poznański, a Jewish merchant who saw the need for high quality textiles on the eastern markets of Russia, Japan and China. 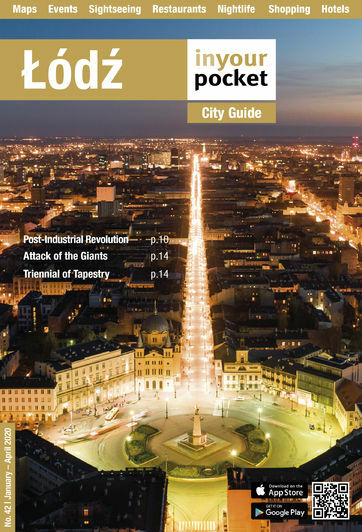 As Łódź was at the time the most westerly city in the Russian Empire, Poznański was able to match western textile expertise and industrial practises with limitless access to eastern markets. It was a winning combination - one that made him a fortune and put Łódź on the map. "Łódź was waking up, the first yelling factory whistle pierced the quiet of the early morning, then in all parts of the city others began to spring up ever more raucously and bawled in hoarse voices like a choir of monstrous roosters crowing their metal throats the call to work. The huge factories, whose long black bulks and slender chimney necks loomed in the darkness, in the fog and rain they were slowly waking up, belching flames of fire, exhaling clouds of smoke." 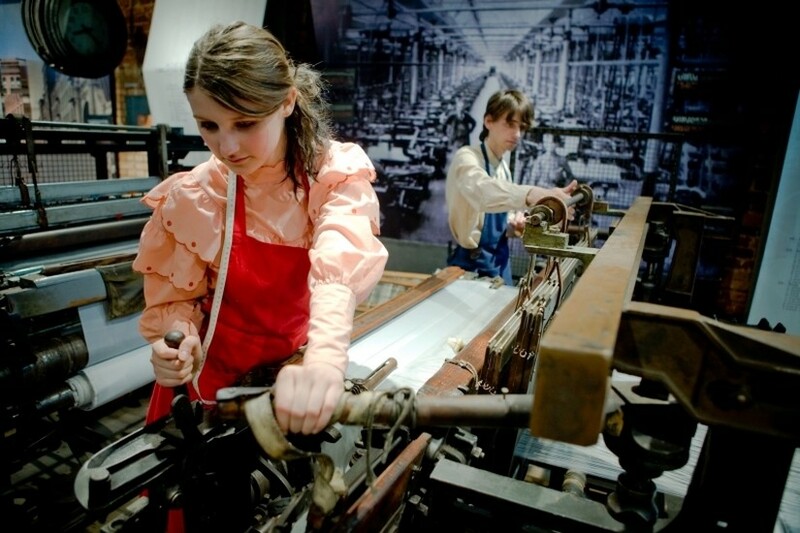 The first Manufaktura loom began spinning in 1852. Real growth however came about during the period 1872-1892, by which time more than 80,000 spindles spread over 12 separate factories were churning out high-quality textiles at a rate unmatched anywhere in Europe at the time. Poznański adored luxury – when asked what style he wished one of his residences to be built in he allegedly declared ‘All of them, I can afford them all!’ The palaces he built for himself all over the city are testament to his fondness for extravagance, but he was also considered a visionary employer. 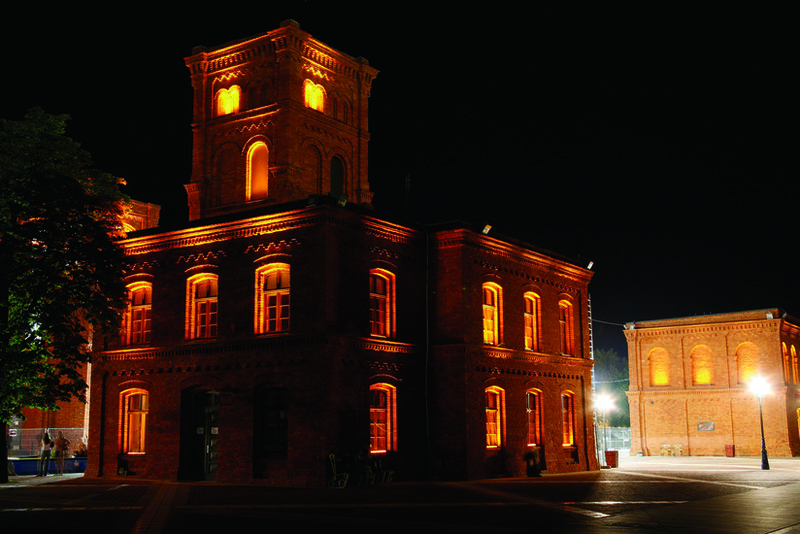 Łódź’s rise to industrial prominence in the second half of the 19th century saw the city transform from a sleepy backwater into a gritty metropolis bursting with red brick factories and a horizon crowned with smoking chimney stacks. As the population exploded suburbs sprang up, including poverty stricken rat mazes like Bałuty and Chojny. The more conscientious factory owners took it on themselves to build tenements to house their workers; Izrael Poznański provided 1,086 apartments for 4,043 people. Designed by Hilary Majewski, one of the architects behind Poznański’s award winning textile factory (it snatched the Bronze Medal at the 1878 World Exhibition in Paris), many of these shadowy housing projects still exist, and exploring their dark courtyards and flaking corridors is like a step back in time. Take a look at how the proletariat used to live by peering into the buildings that stand on ul. Ogrodowa 24 and 26, a couple of which are being renovated. While his workers may have been squashed into tenements, make no mistake that their boss lived the high life. Poznański had the sort of egocentric, hyper-wealthy lifestyle associated with modern day oligarchs, and his palaces and mansions found around town are testimony to this. His HQ on Ogrodowa 15 was the benchmark of flash, and stacked with priceless treasures and frequently the home of high society functions. Designed by Adolf Seligson the L-shaped structure originally held a 770m2 winter garden topped with a glass roof, as well as landscaped gardens out back. As most other industrialists of the age, Poznański had his residence built right next to his factory, allowing him the opportunity to watch his workforce marching to work each morning. The man died in 1900, wealthy beyond imagination, and the ownership of the company passed to his sons. Poznański is buried in an enormous mausoleum in the Jewish Cemetery (some say the largest Jewish tomb in the world), a fitting testament to the true king of bling. Manufaktura continued to flourish, with many of its wares being shipped far and wide to new markets in America and the Far East, though the inter-war period marked the start of a decline as Łódź left the Russian empire and became part of Poland, losing most of its eastern markets in the process. Production continued throughout most of World War II though, after which it was nationalised, and renamed Poltex. The emphasis on quality was replaced by an emphasis on quantity, with most of the goods produced here - primarily cotton - being shipped off to the Soviet Union. The death of the Warsaw Pact trading block COMECON left it without any real market, factories closed and production fell. The last textile worker left the plant – by then a rundown, half-derelict wreck - in 1997. The original 19th century brick buildings remain the focal point of the complex, having been entirely renovated: some brick by brick, with only the chimney stacks which once dominated the horizon missing. Director David Lynch was so impressed he shot part of his film, ‘Inland Empire’, on the premises. 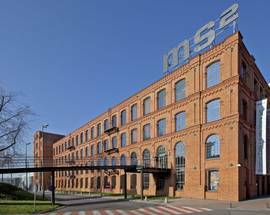 In all, more than 90,000m2 of red brick buildings have been restored and completely refitted. An equal amount of new buildings – mainly the shopping centre - have gone up alongside, while commie leftovers from the Poltex factory days have been demolished. 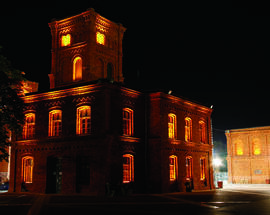 The natural reaction to Manufaktura is to be staggered; covering an area of 54 football pitches the complex spans, in total, over 90,000m2, and makes use of 45,000 square metres of restored original brickwork, fifty kilometres of electric cables and over a kilometre of metal framework. And what was already impressive on opening day has grown more impressive still. 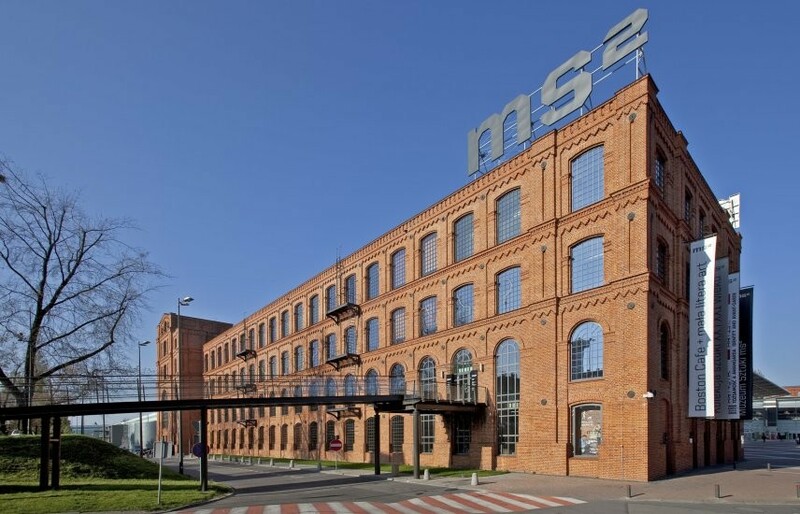 Added over the years has been the award winning Museum of the Factory, Art Museum - ms² which leads the line as one of Poland’s top galleries, and the Experymentarium, easily the finest museum of its genre in the country. Better still, the city has a hotel worthy of its status as one of Poland’s key metropolises. That’s the andel’s and can be found on the Ogrodowa side of the development. Filled with lunar curves and a light, bright atmosphere the shopping mall side to Manufaktura brings a new angle to the otherwise red brick architecture. With over 9,000 m2 of wood flooring the mall is split into four themes – industrial, cinema, design and textile – so as to make navigation easier. Those arriving with their kids in tow should consider dispatching them to the crèche found just off the Rynek, close to Tawerna Pepe Verde. Flagship stores include Leroy Merlin as well as a vast range of brand name clothing stores like Hugo Boss, Hilfiger, H&M, Timberland and an Adidas superstore. In total about 300 retail units are occupied, with other tenants including the Smyk toy store, EMPiK and EURO RTV AGD. It’s not just mega-brand stores though that are drawing processions of spenders, but a top selection of specialist stores that you’ll be lucky to find elsewhere, let alone under one roof. If you’re not ready to put your trust in Łódź’s restaurateurs then by all means, see if you can do better yourself. Your first point of call should be Kuchnie Świata (first floor). In the former find a collection of hard-to-find goodies that range from Israeli fruit drinks to Marmite to a range of sauces from across the world. What it lacks in size, it makes up for in choice. After, why not hit Old Havana for your post-dinner cigar. Complete with a walk-in humidor chamber this is just the place for aficionados to test cigars imported from Cuba. Other stores to watch for include an Apple iSpot store for all your Mac needs. Outside the main range of shops don’t forego a visit to the craftsman’s alley between the Rynek and the mall; it’s here you’ll find all manner of stores including a cobbler, as well as privately run stores specialising in everything from metalwork to traditional rural-style souvenirs. The presence of much-hyped Magda Gessler-brand restaurant Polka is also a sure sign that Manufaktura has arrived. For a full map of the shopping centre or further info don’t be afraid to approach the English-speaking staff manning the information point at the main entrance to the mall. A state-of-the-art 14 screen cinema with all the trimmings including several 4DX screens all located inside Manufaktura.